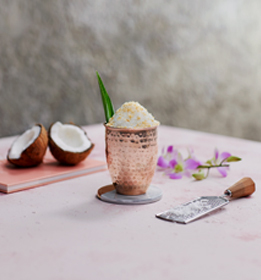 Sugar covers up the natural flavours of our fa​vourite drinks. So every time you reduce sugar, you set more flavours free. 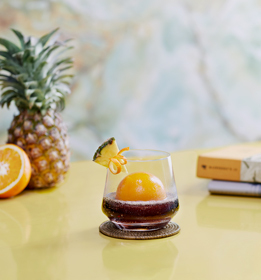 You can even combine them in interesting ways to create bold new drinks that surprise and excite your taste buds! Here are few ideas to get you started. 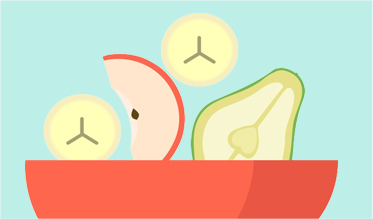 Did you know that we can taste five distinct flavours? But when you overload on sugar, sweetness is the only thing you’ll taste. 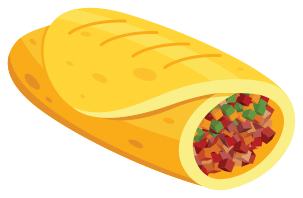 Flavours that are bitter, salty, sour or savoury get overpowered, and you’re left with something that’s just too sweet. 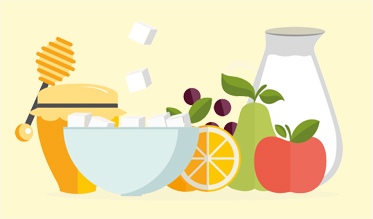 Reduce the sugar in your favourite drinks to rediscover the complex flavours that make them so enjoyable! Give your taste buds 6 days to 3 months to regain their sensitivity and you'll be able to recognize these lost flavours again. 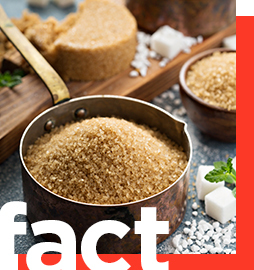 Sugar is a carbohydrate that our body converts into energy. But unlike nutrient-dense foods like wholegrains and fruits, the sugar we add to our drinks and food is very low in nutrients. If we consume too much sugar, these empty calories can build up in our bodies, causing health issues like weight gain and tooth decay. We’ll also increase our risk of obesity and chronic diseases like diabetes. Did you know? 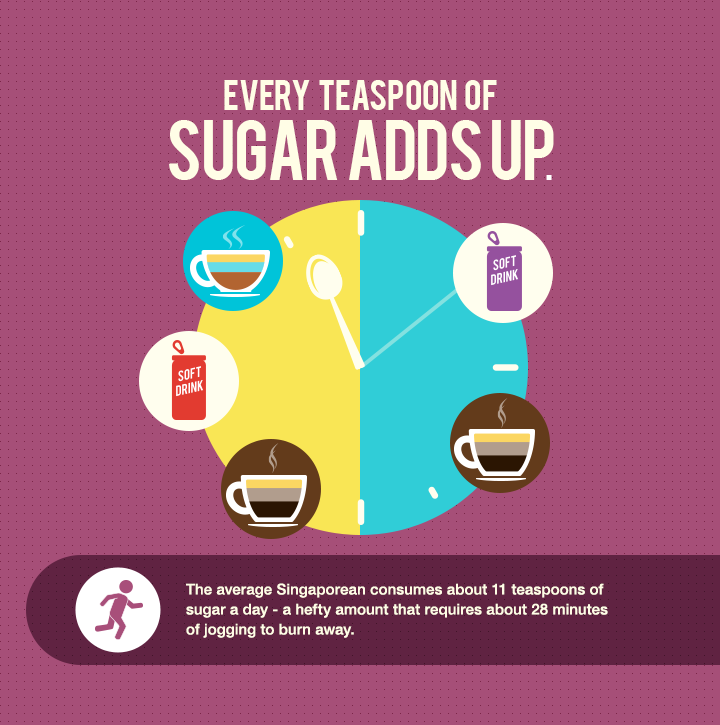 Singaporeans consume 12 teaspoons a day on average – more than the World Health Organisation's (WHO) recommendation of added sugar contributing no more than 10% of our daily energy intake. That's around 50g or 10 teaspoons of sugar. 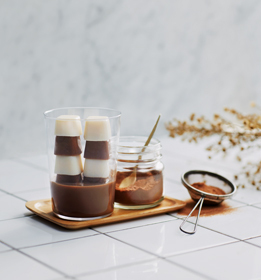 There are healthier ways to satisfy that sweet tooth. 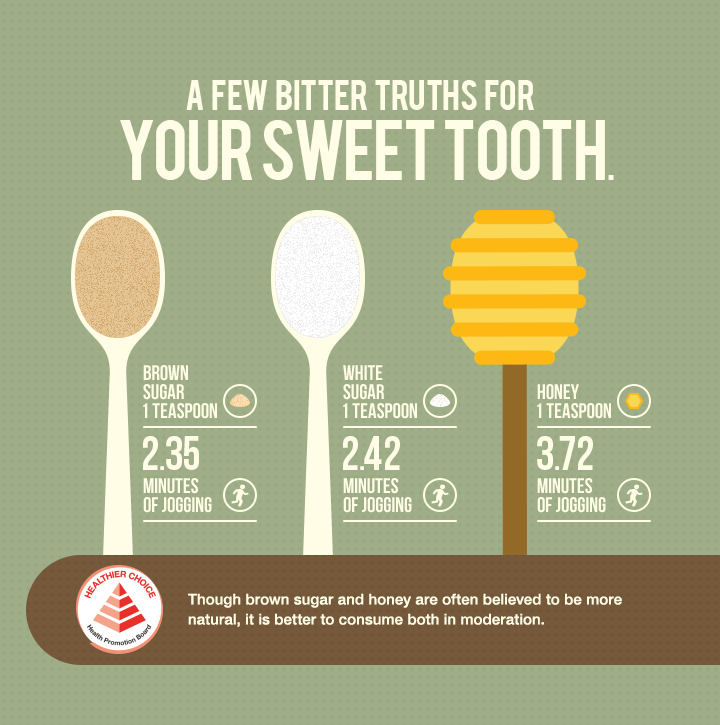 Sugar substitutes can give us the sweetness of sugar, with very few or no calories. 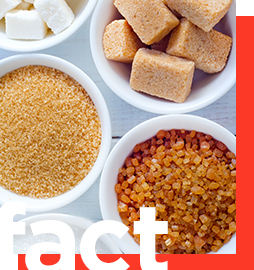 Some examples are ‘non-caloric intense sweeteners’ like Acesulfame K, Aspartame, Sucralose, Saccharin and Stevia. 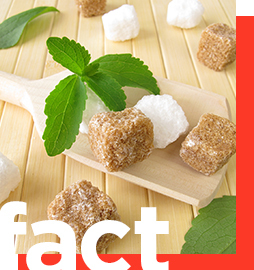 Stevia is a natural sweetener made from leaves of the stevia plant. It offers an intense dose of sweetness without any calories, making it ideal for those looking to manage or lose weight. Try it with your next cup of coffee or tea! 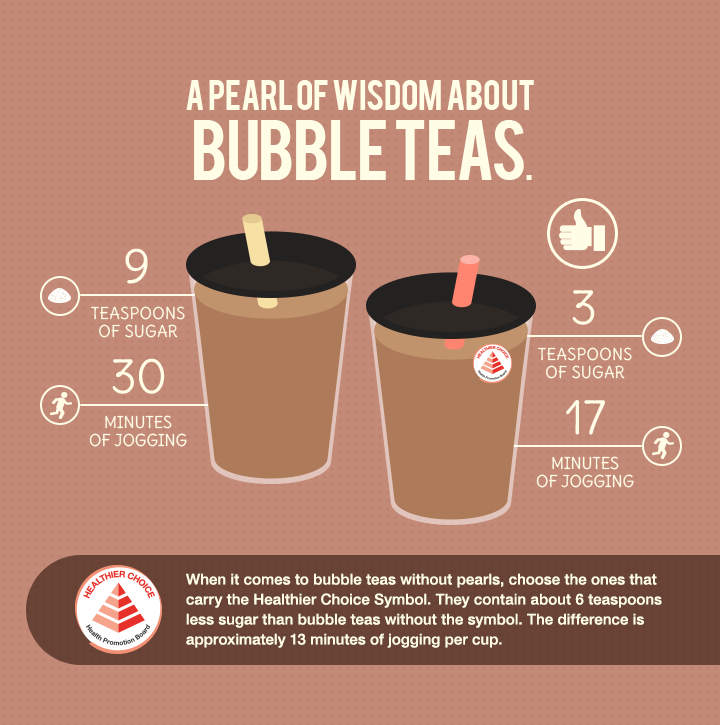 A True Brew Singaporean is one who believes that a good freshly brewed drink should be enjoyed with less sugar for the best flavours. Savour the care that these local brewers give in preparing their fresh brews. 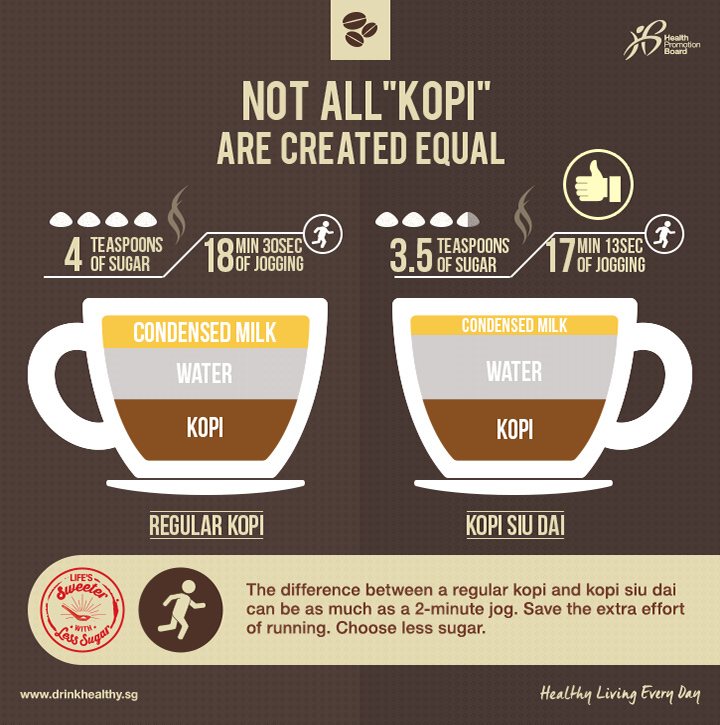 Making a cup of kopi requires a great amount of care. 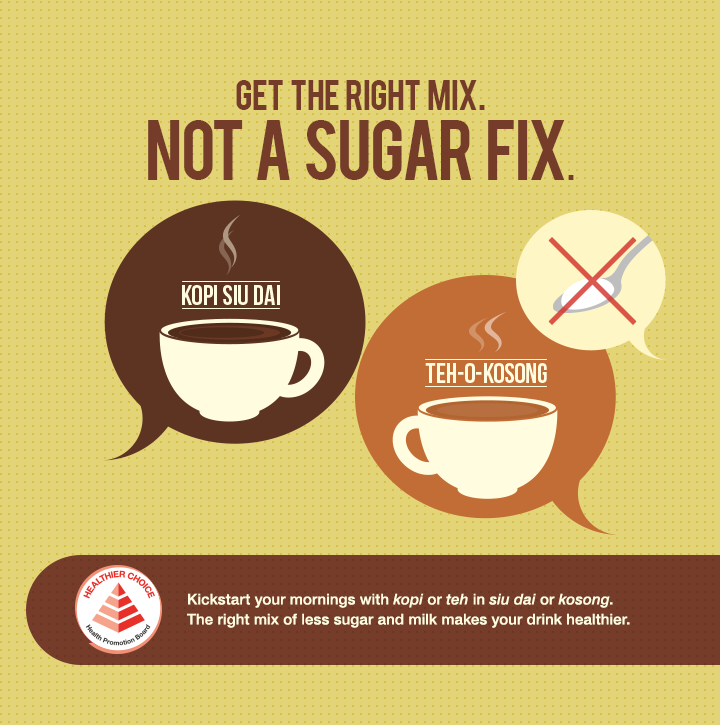 Uncle Sai, a Nanyang coffee expert, is a firm believer that too much sugar will ruin the traditional flavours of coffee. Enjoy a whiff of coffee wisdom from Uncle Sai. 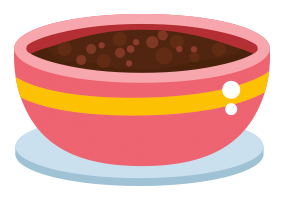 “Brewing coffee is a science to me, and sugar has no role in it,” says Prashant. 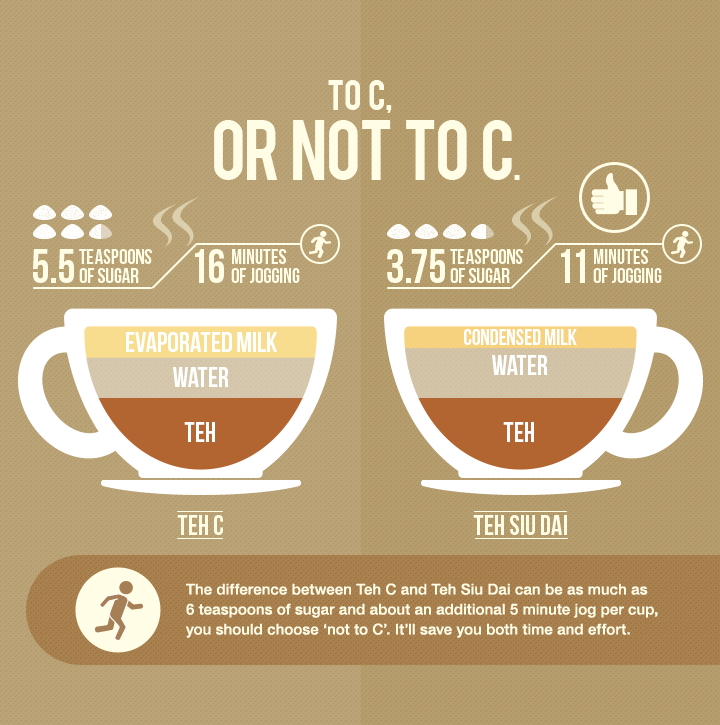 The barista is a firm believer that sugar upsets the balance when it comes to creating the perfect cuppa. 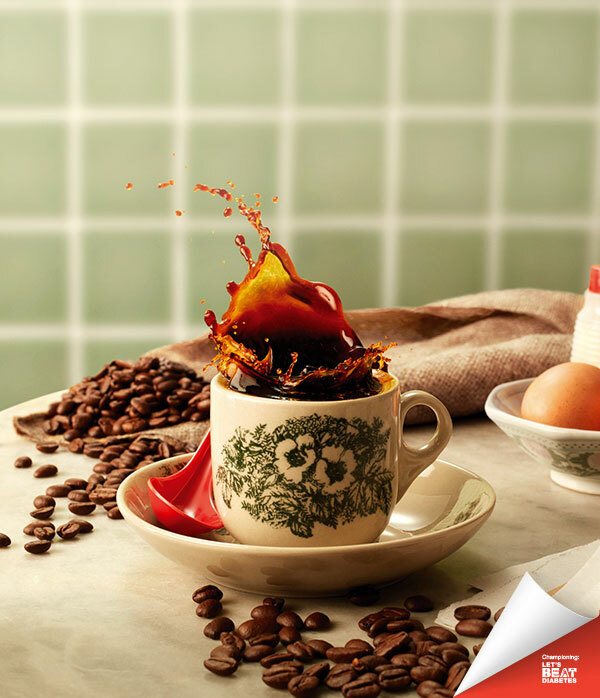 Here’s a taste of how Prashant brews. 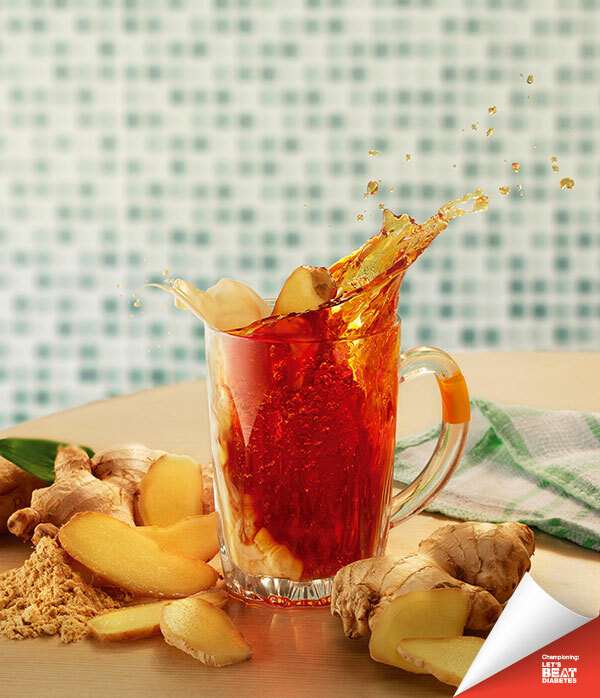 An intense flavour that lingers with a rich gingery aroma is how Khairul, a Teh Tarik expert, brews his Teh Halia. 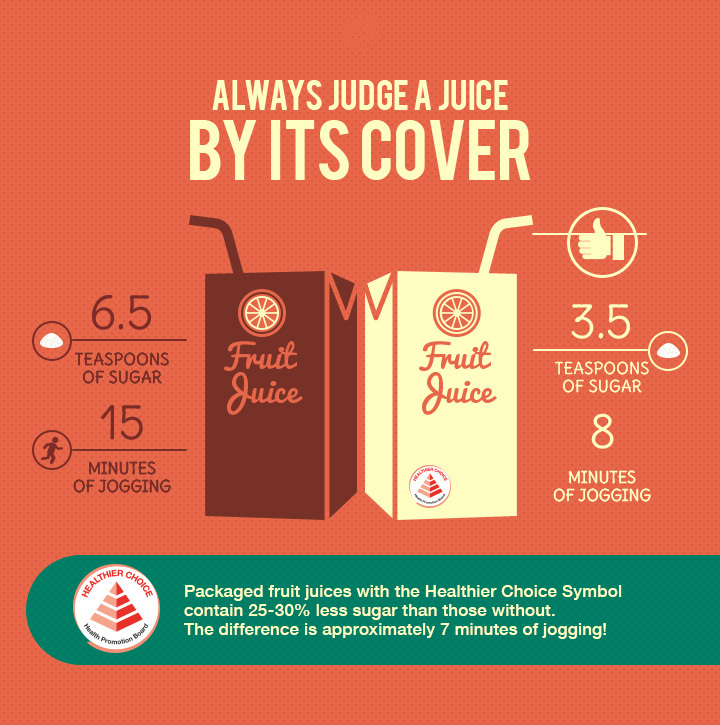 Follow the flavour trail and find out how less sugar brings out the ‘kick’ in every sip. 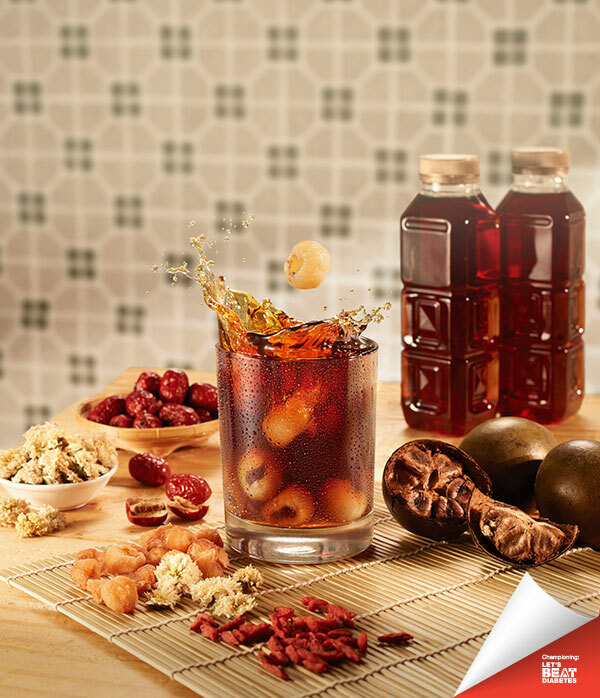 Celebrate the local drink culture with Ah Heng Drink Stall, where we’ve given our iconic drinks new twists that will surprise and excite your tastebuds while keeping sugar levels low. 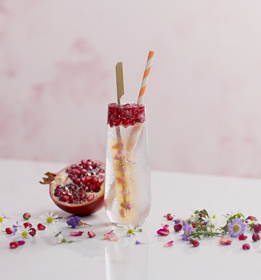 You can also find our recipes to recreate these insta- worthy and tasty lower sugar mocktails at home! Click on the button below to download our recipes for a flavourful experience. When you think of healthy food, do you think of salads, organic food or gluten-free meals? Think again. 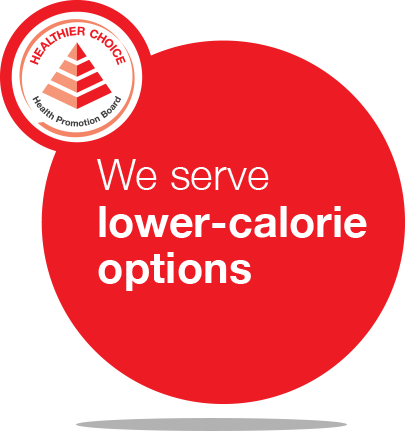 There are many healthier options all around you such as lower-calorie dishes, lower-sugar drinks, dishes prepared with healthier oil or even wholegrain options. 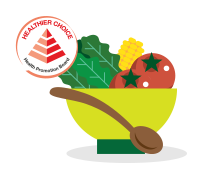 All you need to do is to look out for the Healthier Choice Symbol at hawker centres, food courts, restaurants and supermarkets. ALL GRAINS START OUT AS WHOLEGRAINS. A wholegrain has all the bran, germ and endosperm included. 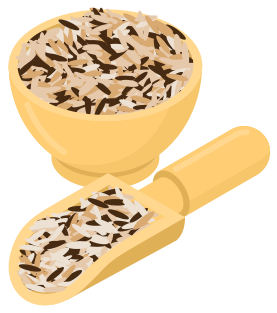 When a grain like rice is polished to extend its shelf-life, the germ and bran are stripped away leaving the starchy endosperm. This gives us white rice which is no longer a wholegrain. WHAT ARE THE DIFFERENT VERSIONS OF WHOLEGRAINS? Nutritional Difference Brown rice refers to rice that is unpolished where only the hull is removed but the germ and bran are retained. 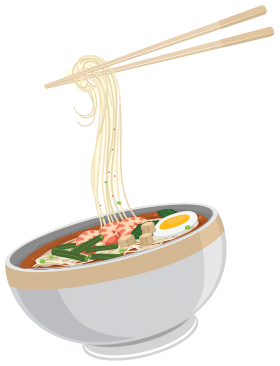 It contains almost five times the fibre and two times the iron of white rice. Red rice contains anthocyanins that give its bran a red/maroon colour. 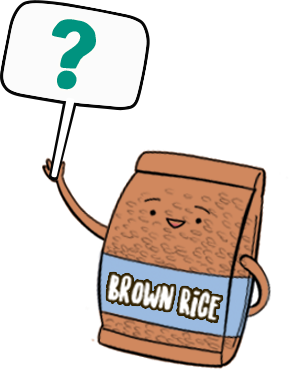 Compared to brown rice, it contains a similar amount of fibre but twice the amount of iron and six times the amount of zinc. Black rice has a black coloured bran layer due to its unique anthocyanin combination. These anthocyanins cause black rice to turn into a deep purple colour when cooked. 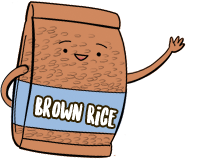 Compared to brown rice, it has three times the fibre, and requires less cooking time. Purple rice is a short grain variant of black rice. It is purple in its uncooked state and deep purple when cooked. It contains a similar amount of fibre but twice the iron and four times the zinc of brown rice. Did you know that you've already been eating lots of wholegrains? And that wholegrains come in many other forms? When you're craving your favourite snack next time, why not search and opt for the healthier wholegrain version? Refer to the table below for some less known and exciting examples of wholegrains. NOTE: Eat all foods in moderation! Just because your snack has a healthier option, doesn't mean you should increase your current intake of it! *Disclaimer: Not all of the above food categories are always wholegrains. Please check the packaging for the 'Higher in Wholegrains' Healthier Choice Symbol to confirm. WHOLEGRAINS IMPROVE THE NUTRITION QUALITY OF A MEAL. The germ and bran of a wholegrain contain a variety of important nutrients. For example brown rice has a higher amount of vitamins and minerals. It also contains five times more fibre and twice the amount of iron. 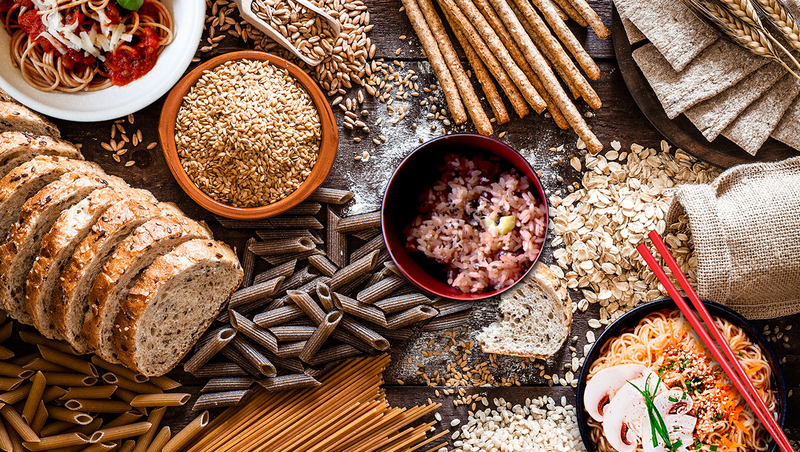 WHOLEGRAINS LOWER THE RISK OF CHRONIC DISEASES. The different components in wholegrain also work together to give numerous health benefits. The vitamin E and Selenium in wholegrains have an antioxidant effect which may prevent damage to blood vessels. Its soluble fibre also helps reduce cholesterol. Together these play a risk in reducing heart disease. 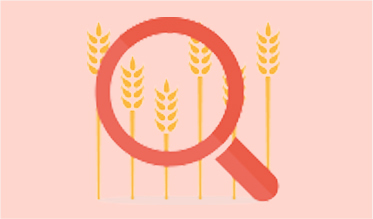 Wholegrains are also generally lower in GI than refined grains. Research has shown that eating lower GI foods could reduce the risk of Type 2 diabetes, heart disease, obesity and cancer. WHOLEGRAINS REDUCE THE RISK OF OVEREATING & CAN PREVENT WEIGHT GAIN. Wholegrains are complex carbohydrates so they are more satisfying to eat because are broken down more slowly. This means eating wholegrains could help you eat less which possibly prevents weight gain. THERE ARE MANY EASY WAYS TO ADD WHOLEGRAINS INTO YOUR DIET. START BY MIXING 20% BROWN RICE WITH YOUR WHITE RICE. MAKE SANDWICHES WITH WHOLEMEAL OR WHOLEGRAIN BREADS. You can always start with one slice of white bread and one slice of wholemeal in your sandwich. 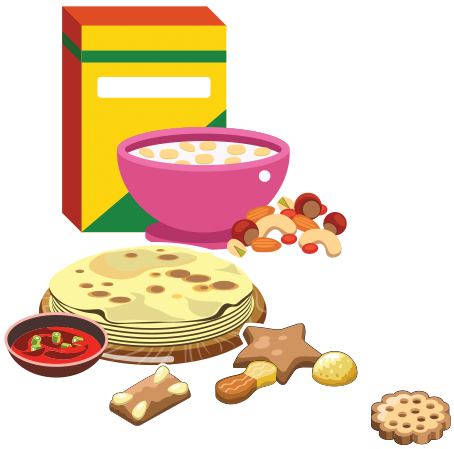 THERE IS ALSO A BROAD RANGE OF READY-TO-EAT WHOLEGRAIN BREAKFAST CEREALS, OATMEALS, CHAPATIS AND BISCUITS YOU CAN TRY. For more fun ways to include wholegrain at home, check out our recipes! If you are craving indian food, ask for chapatis instead. They are made with wholemeal flour. 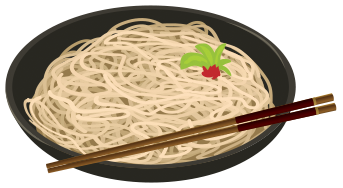 brown Soba is another healthier option. It's made with buckwheat flour which is higher in fibre than plain flour. 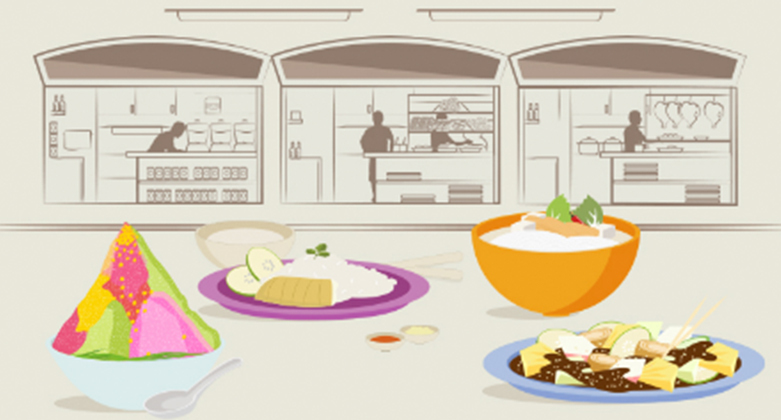 TRY SWITCHING FROM WHITE RICE TO BROWN RICE AT THE HAWKER CENTRE. 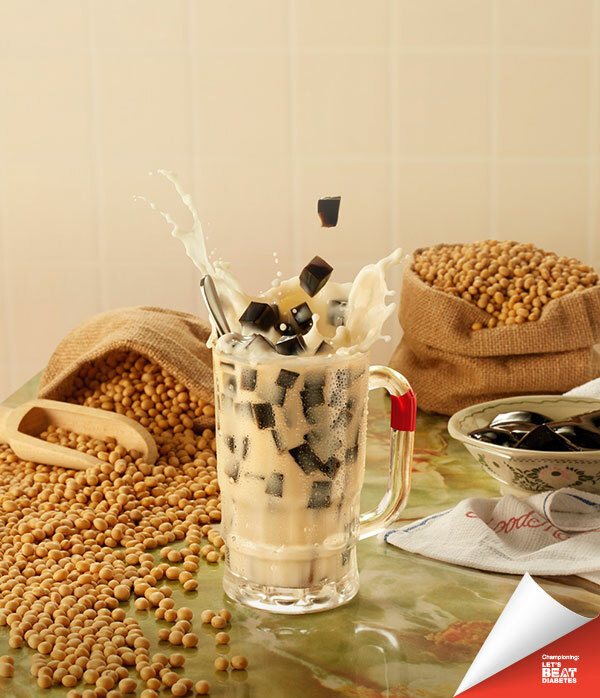 ENJOY THE DELICIOUS NUTTY TASTE! 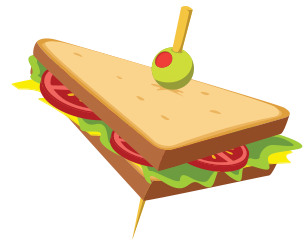 ASK FOR WHOLEGRAIN BREAD OR WHOLEMEAL WRAP WHEN YOU'RE HAVING A SANDWICH. If you're having a noodle dish, ask for wholegrain options like brown rice bee hoon and wholegrain yellow noodles. HAVE A SWEET TOOTH? There are wholegrain options such as Pulut Hitam or Bubur Terigu. Remember to EAT ALL THINGS IN MODErATION. 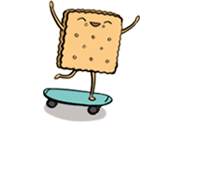 We’re posting all things wholegrain on our Facebook page every Wednesday! 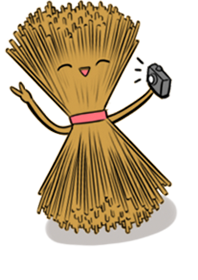 Follow us and learn exciting wholegrain hacks, pick up recipes, and win prizes in our contests. You can also try these flavourful grains at our Kombi Food Truck! Now who says wholegrains have to be boring? When are the #WholegrainWednesday contests happening? Our Facebook contests will take place on 22nd Nov, 27th Nov and 10th Jan. Keep a lookout and stand a chance to win a $10 NETS FlashPay card. How can I win more with wholegrains? 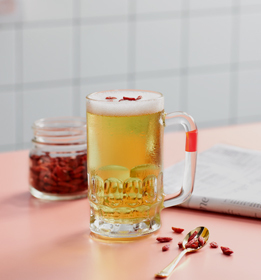 Unlock the Wholegrain Bonus in the Eat, Drink, Shop Healthy Challenge from 1st Nov to 14th Jan. 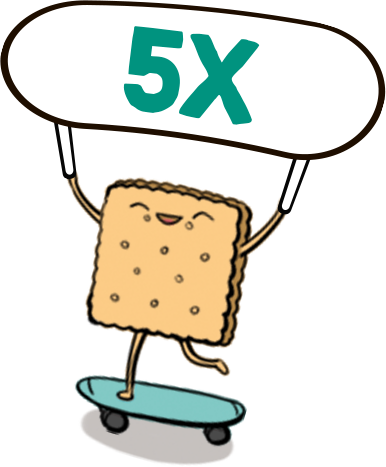 Earn 5X Healthpoints by purchasing qualifying wholegrain items at supermarkets, convenience stores and eateries to redeem rewards! Find out more here. Follow us on Facebook for exciting contest, events, recipes, and tips on how to add some wholegrain goodness to your life. Start small with #WholegrainWednesday today! Calories are a way to measure the energy we get from food and are expended when we are physically active. Keep a balance between what you eat and what you burn. It can help you maintain a healthy weight or lose those extra pounds. Shave 100 calories from each meal to reach your healthy goal weight. 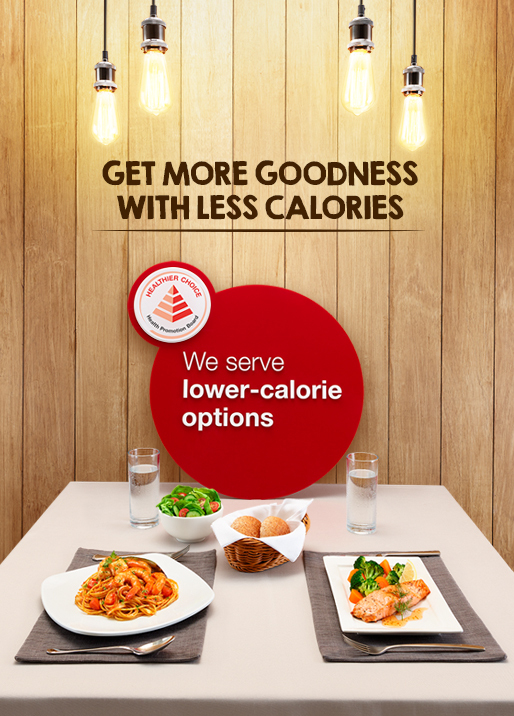 Lower-calorie food can be just as satisfying. Make each bite count. Enjoy these shiok hawker dishes and stay within your calorie limit. Check out these shortcuts to cutting calories and staying in shape. Tired of feeling tired after lunch? Learn how lower-calorie options keep drowsiness away. Craving hawker food? Check out these lower-calorie dishes. 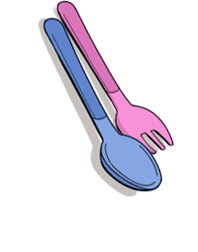 Calories are a way to measure the energy we get from food. It is also used to measure the energy we burn when we are physically active. Choose low-cal dishes made with healthier oils, as they are better for your heart health. 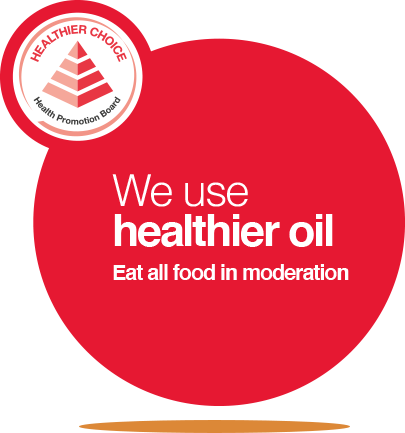 Healthier oils with less trans fat and saturated fat help you get more from life. 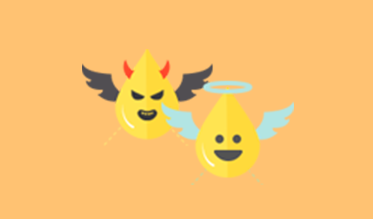 Uncover the truth behind vegetable oil and how it affects your body. Learn to spot the healthier oils. Fats are not all bad. Your body requires some fats to stay healthy. Find out the difference between good and bad fat. 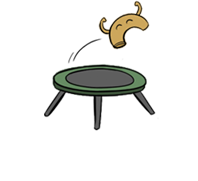 symbol at your favourite eateries! 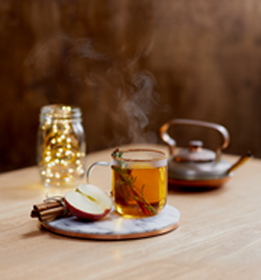 Pick dining spots with healthier oil. Eating at home? 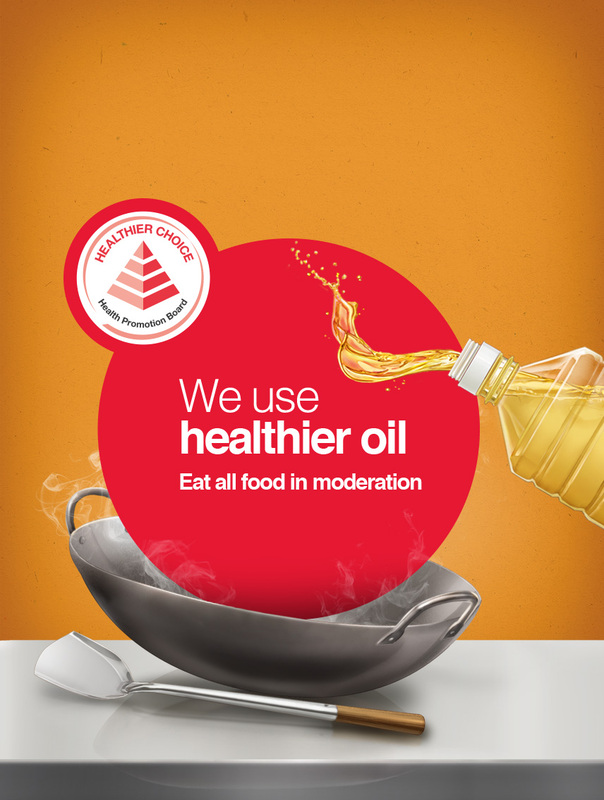 Use healthier oil for cooking to get more goodness. Click here to find out how. A calorie is a unit of energy. 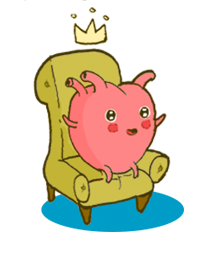 So when people talk about calories, they are referring to energy that is being consumed or expended. How many calories are too many calories? The average recommended number of daily calories is 2200* kcal for males and 1800* kcal for females. We know it's not easy to watch your calorie intake when you're dining out in Singapore. After all, there's plenty of great food around, and we all know how tempting that plate of Char Kway Teow looks. 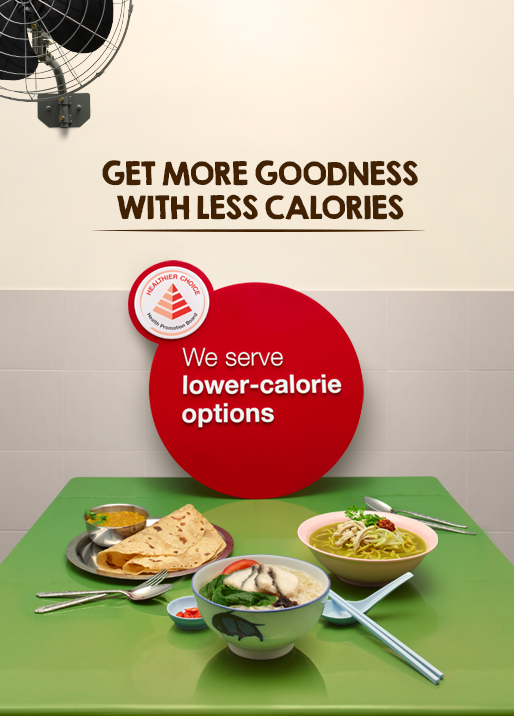 But with the Healthier Dining Programme, which helps F&B outlets offer healthier meals that taste good and are lower in calories, you can now find wholesome meal alternatives at a location of your convenience. 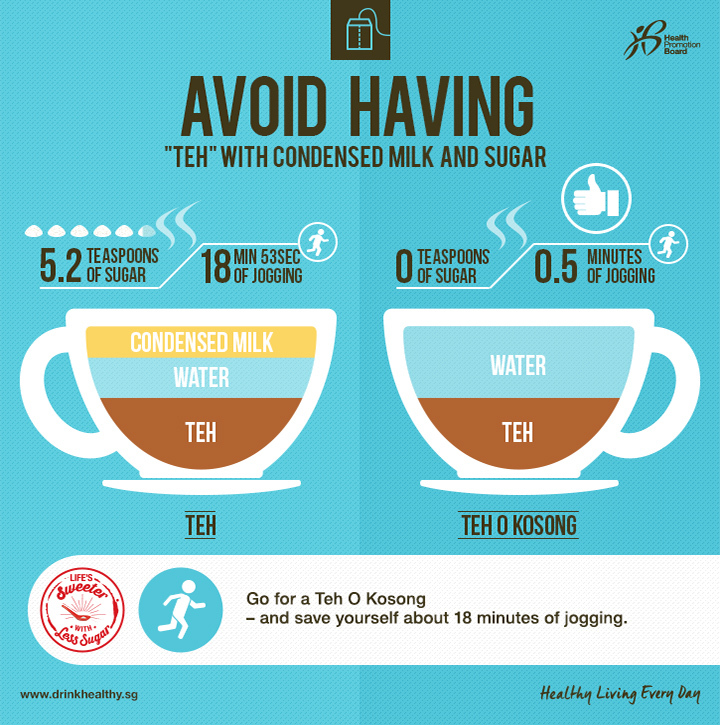 *Note: The values indicated are calculated based on the average weight and physical activity level of the average Singaporean male and female. Your daily requirement may vary depending on factors such as age, gender, height, weight and activity level. Use the energy calculator in the Healthy 365 app to calculate your daily energy requirements. Balance your calories. Balance your life. 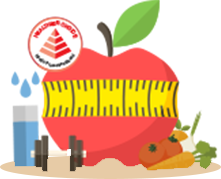 Living healthy is all about achieving caloric balance. If you are trying to maintain your current weight, your calorie intake should equate to your calorie output. In the long run, consuming more calories than you can burn will lead to weight gain, which may lead to a whole host of health problems such as diabetes, high cholesterol and heart diseases. On the other hand, if you're attempting to lose weight, you should reduce your calorie intake, while increasing your calorie output. 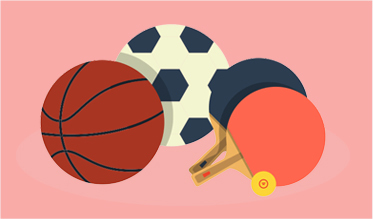 Different physical activities expend different amounts of calories. 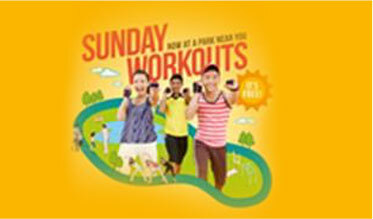 Generally, the more vigorous an activity, and/or the more time you spend exercising, the more calories you burn. 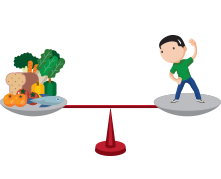 Achieving caloric balance is as simple as keeping a healthy diet and staying physically active. Burning Calories. How your feet can help your waist. 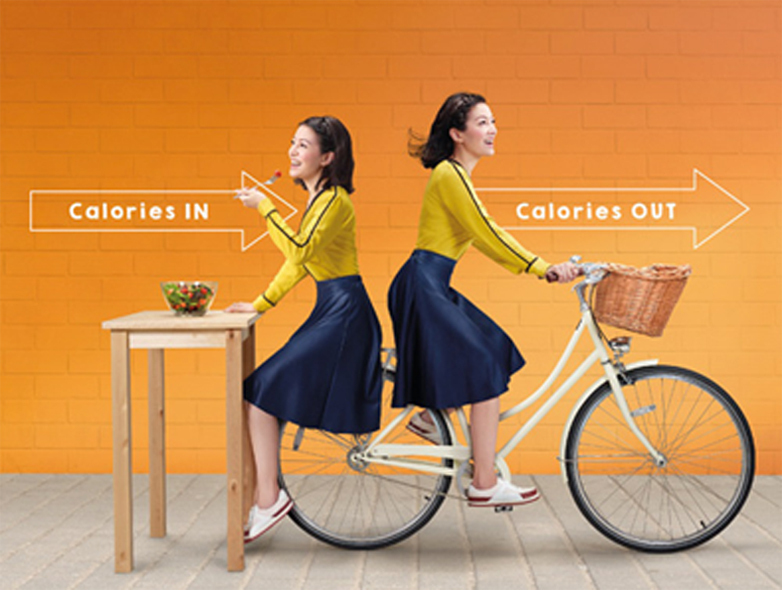 We get our calories from the food and drinks we consume, but how do these calories get used Calories are burnt when we move; the more we move, the more calories we burn. 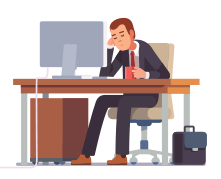 Studies show that individuals who take less than 5,000 steps a day tend to lead to sedentary lifestyles and are more likely to be physically inactive. As a result, these individuals tend to have unhealthy Body Mass Index (BMI) and suffer increased cardiometabolic risk. 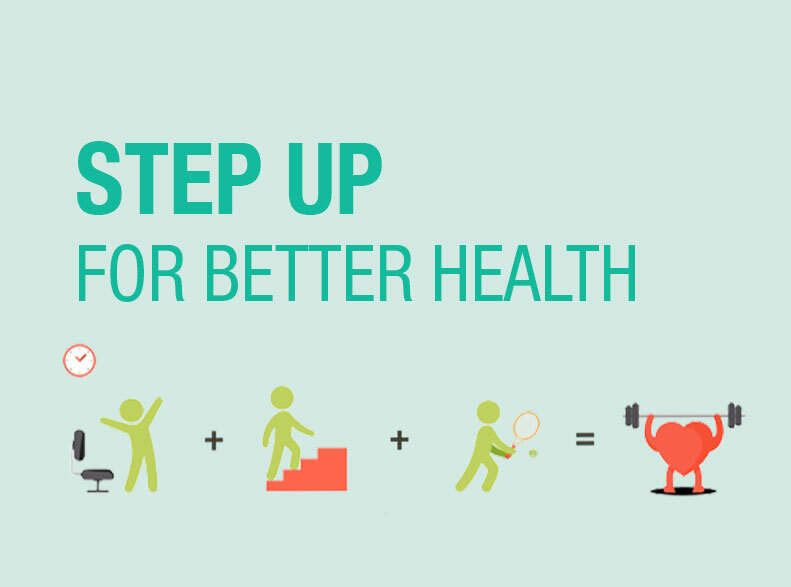 Conversely, being physically active comes with a myriad of health benefits, including, a healthier BMI and 20-50% reduction in incidents of premature deaths, cardiovascular diseases, stroke, hypertension and cancer. 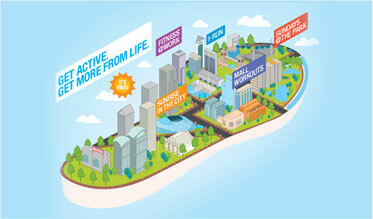 To put it simply, being physically active results in a healthier life. 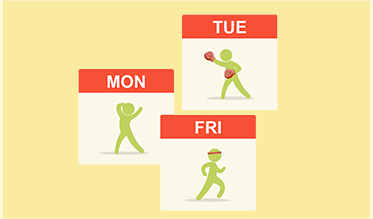 You can make little changes to your daily routine, like increasing the number of steps you take a day, to increase your physical activity level and expend more calories. 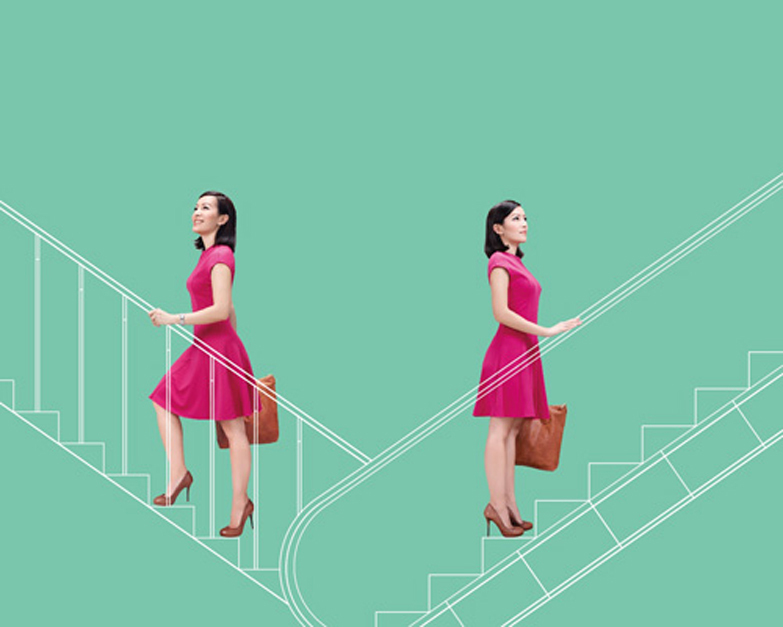 Where possible, take the stairs instead of the lift. Park further away from the mall's entrance. Alight one bus stop before your destination. Of course, you can also burn more calories by increasing the intensity of your workouts. 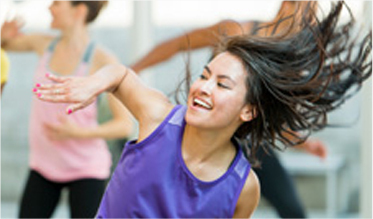 A vigorous workout like kickboxing will expend more calories than a moderate workout like brisk walking. Good sources of calories are packed with nutrients. 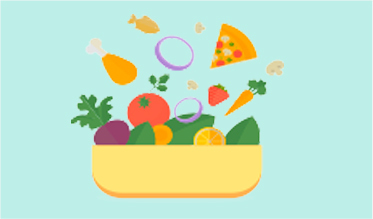 Unrefined and minimally processed foods such as vegetables, fruits, wholegrains, healthy fats, healthier oils and healthy sources of protein (e.g. 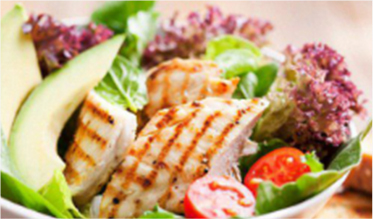 lean meat, fish, tofu and beans) are all considered nutritious sources of calories. Empty calories are caloric sources that contain very little nutrients. Highly processed snack foods, sugar-sweetened beverages, refined grains, sugar, fatty cuts of meats, and food high in saturated and trans fats, are all 'empty' sources of calories. Plus, eating too much of them can negatively affect your health; increasing the risk of obesity and chronic diseases. Remember to eat in moderation. Avoid high-calorie foods such as deep fried dishes and food items containing coconut milk and gravies. 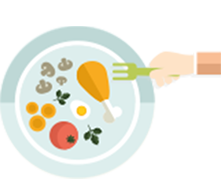 Keep your meals in the right portion size, with the right mix of vegetables, meats and wholegrains. You can also trade your sugar-laden beverage for one with lower or no sugar content; swap out that can of soda at lunch and have a glass of ice-cold sugar free tea instead. Cut calories without feeling hungry or deprived by reducing your intake of high-calorie and high-fat foods, and filling up on lean proteins, fruits, vegetables, broth-based soups and wholegrains instead. These foods that are high in fiber and water content will keep you feeling full for longer, while cutting back on the calories. 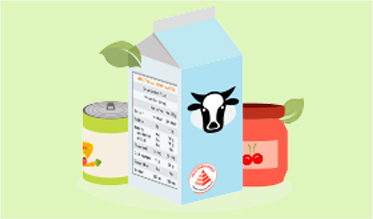 At the supermarket, make informed choices on packaged food by looking at the calories per 100g on the Nutritional Information Panel. 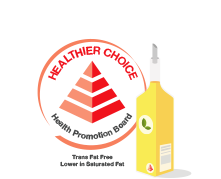 Opt for products with the Healthier Choice Symbol (HCS); in comparison to similar products, these are lower in sugar and fat. The following terms and conditions ("T&Cs"), and all subsequent revisions or amendments made by the organiser, Health Promotion Board ("HPB"), shall apply to the "Guess the hawker" contest (the "Contest"). Participation in the Contest signifies your agreement to be bound by the T&Cs. If you do not agree to the T&Cs, please do not enter the Contest. Subject to Clause 1.2 below, any individual who is above 16 years old (the "Participant") is eligible to participate in the Contest. A Participant below 21 years old shall obtain his/her parent's or guardian's written consent before taking part in the Contest. HPB shall be entitled to request proof of such written consent at any time. Failure to provide proof of written consent upon request shall disqualify the Participant from the Contest. 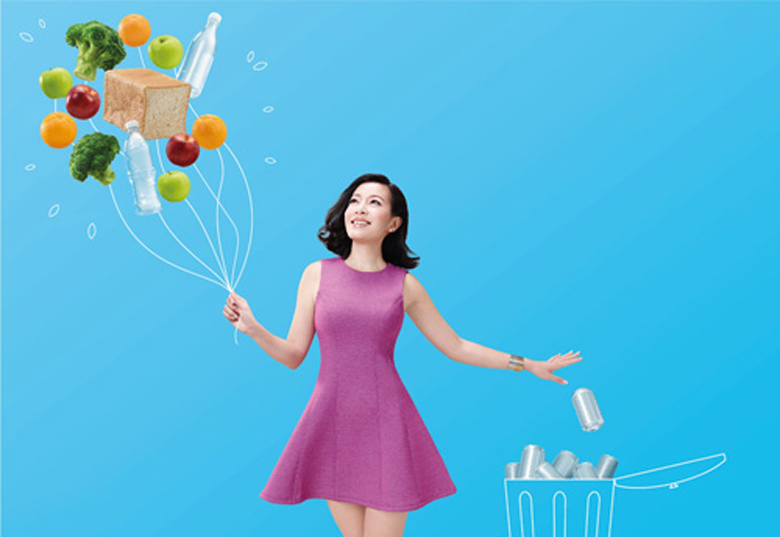 Employees of HPB and their immediate family members may participate in the Contest. Should they win, their prizes will be as won or the equivalent of S$250 worth, whichever is the lower. A Participant who fails to provide true, correct and accurate information when participating in the Contest shall automatically be disqualified from the Contest. HPB reserves the right to refuse to award any prize or require return of the prize presented to the Participant. The Contest will be held from 1 March 2017 to 31 March 2017 (the "Contest Period"). The first correct comment will win a prize. Each Participant is limited to one (1) Entry per day and entitled to win a maximum of one (1) prizes for the entire duration of the Contest. 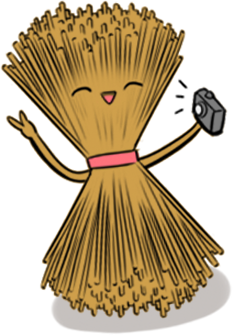 If a winner does not respond within 24hours, HPB may in its discretion pick another winner or withdraw the prize in question. The prizes for the Contest are limited edition NETS FlashPay card loaded with $10 value, while stocks last. HPB may, in its sole and absolute discretion and without prior notice, replace, change or substitute any prizes with another of similar value. Participants are not allowed to exchange prizes for cash or other goods or services. HPB will not entertain any request for the exchange of prizes. 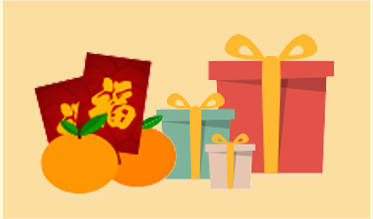 The images of prizes on all marketing materials are for illustration purposes only. Actual products may be different from the images shown. The prizes are provided on an "as is", "with all faults" and "as available" basis. 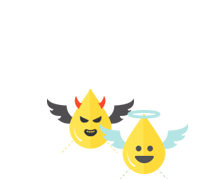 HPB does not warrant, represent or guarantee the usability or quality of the prizes, or that the claims made by the manufacturers, distributors and/or service providers of the prizes are accurate. To the fullest extent permitted by the law, HPB disclaims all warranties (whether express or implied) including but not limited to warranties that the prizes will meet the winners' requirements, warranties of satisfactory quality, warranties of merchantability or fitness for a particular purpose. All warranty claims with regard to a prize shall be directed to the applicable manufacturer/service provider and not to HPB. Upon the issuance of a prize to a winning Participant, neither HPB nor its employees, directors, officers, agents or assignees shall be responsible or liable in any way to any person for any prizes that are tampered, damaged, or not working properly. For prize redemption, prizes will be delivered to winners via normal postage mail. Publicity, advertising or marketing purposes in connection with the Contest and/or in connection with any HPB's programmes/outreach/initiatives/activities. Prize winners hereby consent and agree to HPB recording their images through photography, videography or any other image recording means or technology (collectively "Image Recording") in any material for publicity purposes (collectively "Promotion Materials"). HPB shall own all the rights, title and interests including intellectual property rights in and to the Image Recording and the Contest Materials. HPB shall have the right to publish, reproduce, make adaptations, communicate and make available to the public, the Image Recording and the Promotion Materials in any media, whether in print, digital or any other format, for any publicity purposes connected with the Contest or any other activity of HPB connected with being a winner in the promotion ("Publicity Purposes"), including sharing or disclosing the Image Recording or the Promotion Materials to any third party authorised by HPB for the Publicity Purposes, without restriction and without the need to notify the prize winner in advance. The Participant will have no right to approve the finished product wherein the Image Recording or his/her likeness appears, and shall not receive royalties or any other compensation arising or related to the use of the Image Recording or the Promotion Materials. There shall be no time limit, nor is there any limitation in geography or medium on the use of the Image Recording or the Promotion Materials set out in Clauses 6.1 to 6.4 above. The prize winner hereby releases, waives and discharges HPB and its directors, officers, agents, servants, employees and any person acting pursuant to the authority of HPB (collectively the "Released Parties") from, and covenant not to sue the Released Parties or any of them for, any and all liability, claims, demands, actions and causes of action howsoever arising out of or in relation to any loss, damage or for the enforcement of any personal or proprietary right he/she may have in connection with the Image Recording or the Promotion Materials. HPB may require prize winners to sign separate written releases. HPB shall have the right to disclose and publish the name and any other particulars of winners for publicity purposes and winners shall consent, co-operate and participate fully in the activities organised by HPB for such purposes, without any payment, fee or compensation whatsoever. If a winner has collected a prize but does not comply with these obligations, he shall be required to return the prize to HPB. any losses, costs, expenses, fees or damages incurred by the Participants arising out of or in connection with the Contest or any activity related thereto, including without limitation, any breakdown or malfunction of any computer system or equipment. Participants agree and acknowledge that the Contest is in no way sponsored, endorsed or administered by or associated with Facebook. Any information provided is to HPB only, and not to Facebook. Participants agree and acknowledge that they shall release Facebook from all claims completely. HPB reserves the right at its sole discretion, to suspend, postpone or terminate the Contest or any Contest Period, shorten or extend the duration of the Contest Period and/or amend, modify, delete, supplement, replace or revise the T&Cs, without any liability or prior notification to any person, including but not limited to any Participant. Any change to the T&Cs shall take effect immediately and shall bind all Participants of any ongoing Contest Period including those who have submitted Entries before the date of the change. HPB shall not be liable to any party whatsoever for any delay in complying or failure to comply with the T&Cs due to the occurrence of any event or circumstance beyond its control, including without any limitation to, acts of God, natural disasters or catastrophes, riots or wars (whether declared or not), terrorist activities, epidemics, health threats, quarantine requirements, change or issuance of new applicable laws. In all circumstances, HPB's decisions shall be final, binding and conclusive on all matters relating to the Contest, and no further correspondence shall be entertained. Participants agree and undertake to be bound by the aforesaid decisions. The T&Cs shall be governed by the laws of Singapore. The T&Cs shall constitute the entire understanding and agreement between HPB and the Participants. 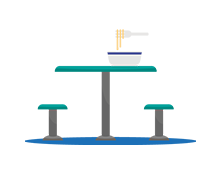 The T&Cs are not intended to confer rights on any third party, whether pursuant to the Contracts (Rights of Third Parties) Act (Cap. 53B) or otherwise, and no third party shall have any right to enforce any provision of the T&Cs. If any term or provision of the T&Cs is held to be illegal or unenforceable, such term or provision shall be deemed to be deleted from the T&Cs and the validity or enforceability of the remainder of the T&Cs shall remain in full force and effect. HPB's failure to enforce at any time the provisions of the T&Cs or any rights in respect thereto shall in no way be considered to be a waiver of such provisions, rights, or elections or in any way affect the validity of the T&Cs. In the event of any inconsistency between the T&Cs and any brochure, marketing or promotional material relating to the Contest, the T&Cs shall prevail. 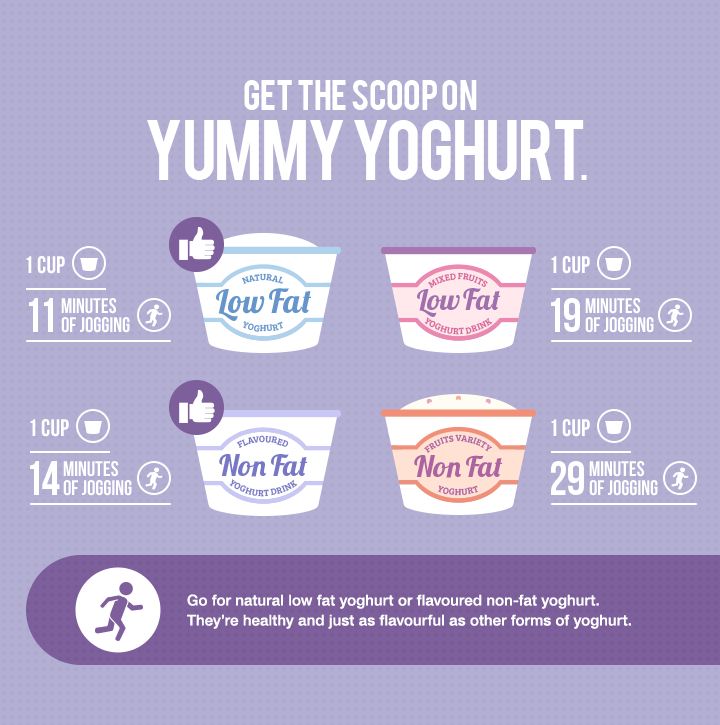 The T&Cs and any amendments will be displayed on gethealthy.sg/promotions. Sugar covers up the natural flavours of our favourite drinks. So every time you reduce sugar, you set more flavours free. 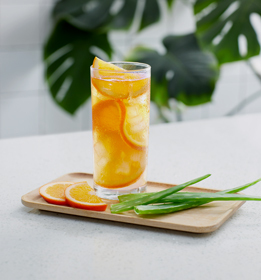 You can even combine them in interesting ways to create bold new drinks that surprise and excite your taste buds! Here are few ideas to get you started. 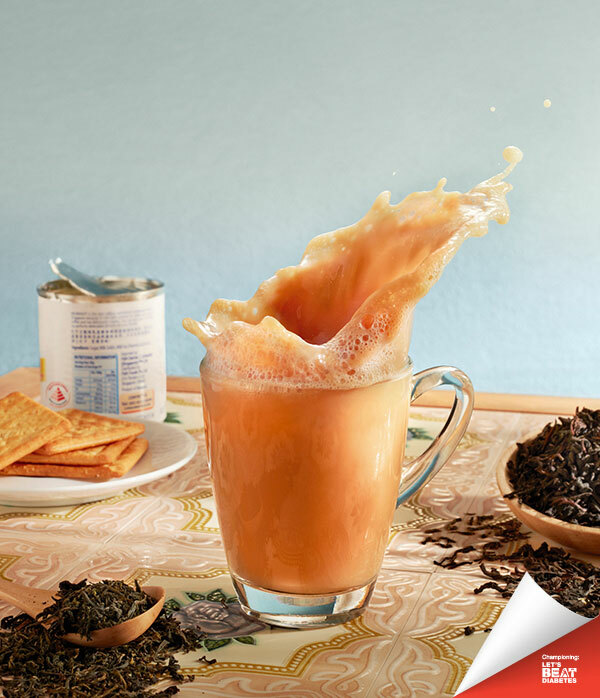 An intense flavour that lingers with a rich gingery aroma is how Khairul, a Teh Tarik expert, brews his​ Teh Halia. 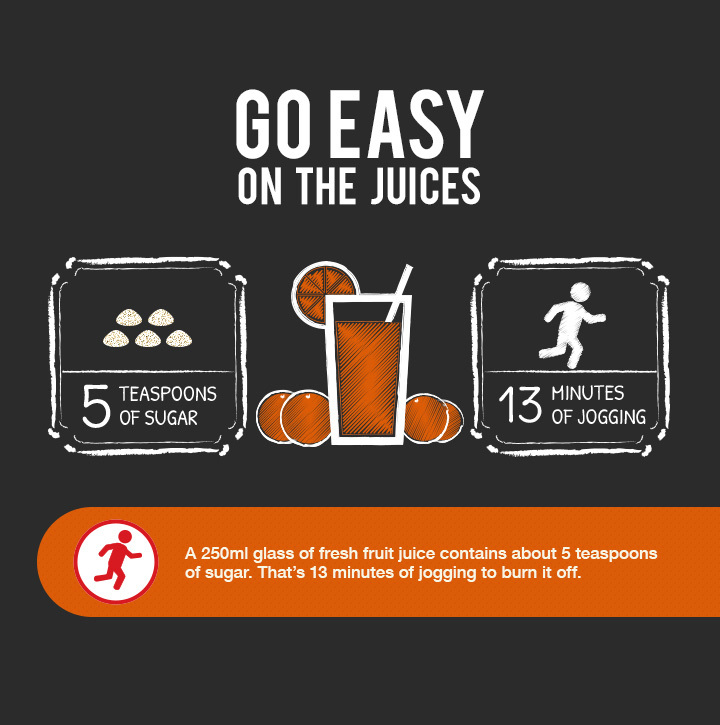 Follow the flavour trail and find out how less sugar brings out the ‘kick’ in every sip. You can also try these flavourful grains at our Wholegrain Food Truck! Now who says wholegrains have to be boring? Our Facebook contests will take place on 22nd Nov, 6th Dec, 27th Dec, and 10th Jan. Keep a lookout and stand a chance to win a $10 NETS FlashPay card. 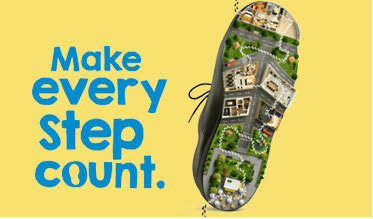 Unlock the Wholegrain Bonus in the Eat, Drink, Shop Healthy Challenge from 1st Nov to 14th Jan. 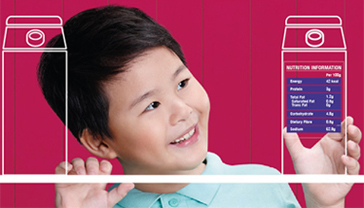 Earn 5X Healthpoints by purchasing qualifying wholegrain items at supermarkets and eateries to redeem rewards! Find out more here. A FULFILLING CHRISTMAS 2016: FOOD FOR THOUGHT. Savour your holidays by eating in moderation. Wishing you a Merry Christmas and happy holidays. 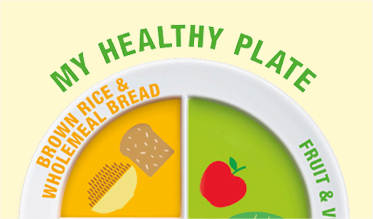 Now, it's easier to get wholesome meals with the Healthier Dining Programme (HDP). The HDP aims to improve the overall diet quality of Singaporeans by encouraging F&B companies to include healthier food options in their menu. This means that lower-calorie meals and food that use healthier ingredients, such as wholegrains and healthier cooking oils, will be more readily available for everyone. Make each meal a healthy one, and start living healthier today. Learn these super simple hawker hacks to turn your facourite dishes into healthier ones ! By making better drink choices, we can take control of the calories we consume through our beverages and live a healthier life. 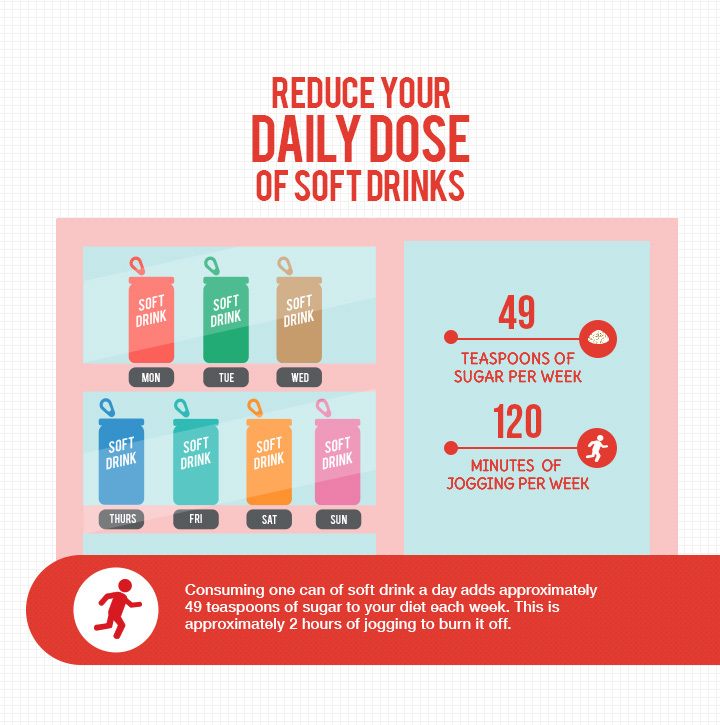 Transform your drinking habits by choosing lower-sugar beverages. 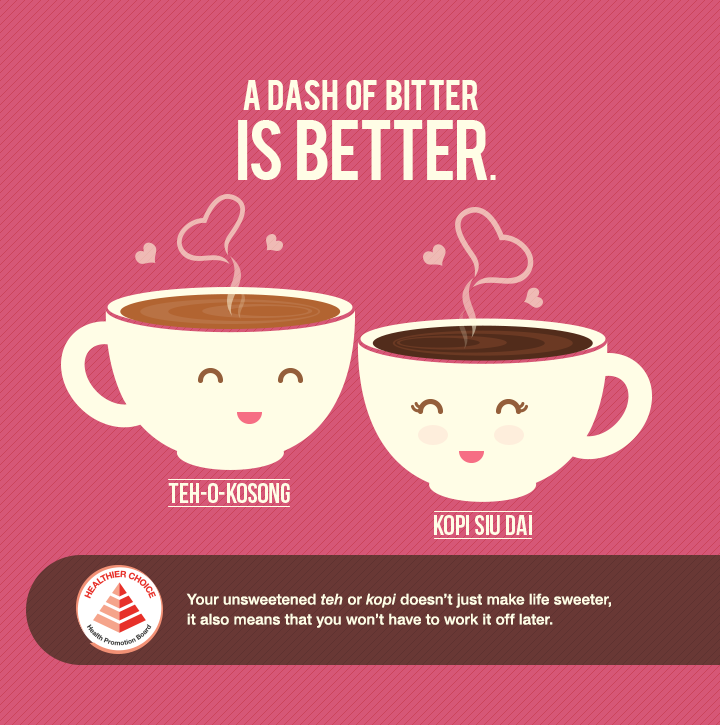 Trade that Kopi for a Kopi Siew Dai. Skip the soda and opt for water instead. Make each drink a healthy one, and start living healthier today. Ever wondered what is the number of teaspoons of sugar in a cup of ice blended mocha or even a cup of Kopi Follow hosts Dee Kosh and Sylvia as they uncover the sugary truth behind your favourite everyday drinks in this all-new video series. Check out their adventures in the playlist above! Food has always been our greatest, most delectable national pastime. However, we could all benefit from healthier food and drink choices. 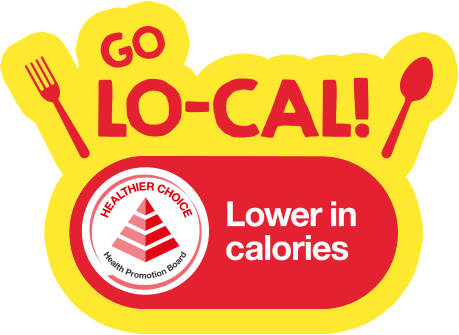 While we enjoy the occasional local delicacy, we want to make healthier daily choices for our families too. It's easy to make smart choices every day with meals that taste good while being good for you. 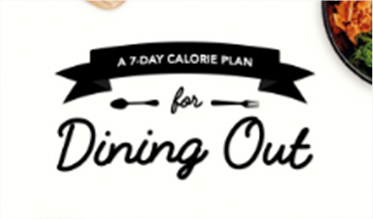 With a little planning, the whole family can shop and eat healthy - at home or while dining out. With our easy-to-make recipes, you can make healthy yet delicious meals the whole family will love. Plus, add flair to your dishes with eye-catching food art recipes that are filled with "lo-cal goodness". And remember to check back often to discover new tips and recipes! Use the Healthy 365 app to track your food & drinks intake and the corresponding calories consumed. Download the Healthy 365 app to track your steps, calculate your calorie intake and more. Find out more about the app here. Or get your s now from the respective app stores.